Time Deposit In Singapore – What Is The Best Way To Invest in Fixed Deposit? The question, when is the prototypical moment to begin investing in time deposit is ubiquitous among Singaporeans. The good part is that you have several considerations to put together to make this kind of investment work based on your individual requirement and situation. One of the main requirements you will need is capital—some good amount of money. In this case, the more money you save in your fixed deposit account, the more the returns.That also means that you have already taken care of all your financial needs like rent, household needs and savings for personal upkeep. Aside from the money to be invested, you need to determine the best locked-in period that works for you. Remember that you cannot withdraw this money anytime or anyhow you wish until the maturity date. If you intend to use the money in the near future, then you should opt for a more flexible investment plan. However, that does not mean to say that you cannot get your money when you have no options left. For example, if you decided to keep saving for five years to buy a plot of land, but after three years, you find a very lucrative deal that totals to the amount you have saved. The bank will allow you to differ based on the terms and conditions set by the institution. You will, however, miss on some of the returns that you were supposed to get; you could even lose an incredible amount of interest. Most banks impose a penalty on premature withdrawals. Alternatively, if you feel that you may need funds in future, instead of loading all the money in one institution you can split it into several other banks so that if you may want to default, you will not be penalized from the whole amount. However, you need to do some primary research before proceeding with this strategy fundamentally on the interest part. What should attract you to invest in a fixed deposit is the interest. Banks have the autonomy to determine the amount of interest to impose. 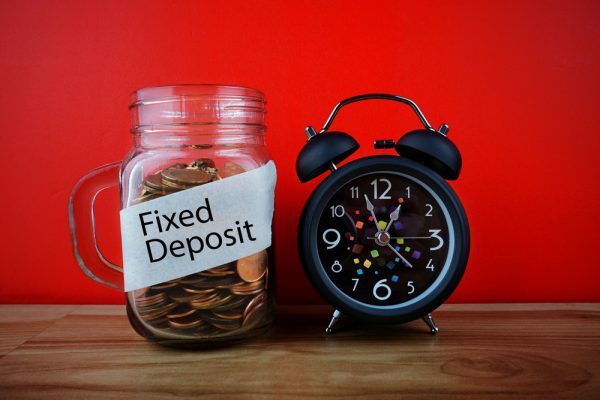 Therefore,the interest rates in fixed deposit vary from one bank to another, although very few people understand that the rates too vary based on the lock-in period of the deposit. Before approaching the banks to get the saving started, create some time with your browser and do some productive research while making calculations to find out which banks have your interests at heart. Some banks tend to raise the interest rate when you decide to extend your duration even for days or months while others don’t. Another crucial subject to keep in mind is the interest payout frequency. If you are looking for good regular income on the fixed deposit’s interest, then pay paramount attention to the withdrawal interest from the banks’ policies. In the past, banks used to provide annual and quarterly withdrawal interest, but now, they offer even the monthly interest payouts. If you want a relatively stable income from the interest that will accrue in the fixed deposit, study the bank’s policy in regards to withdrawal interest. Age is an essential factor when it comes to investing in Singapore, principally on the fixed deposit and may not be the best option for young people. Wondering why? The interest rates in these investments are very low; they barely keep up with the inflation rate in the country. It is mostly recommended as a second investment plan—an addition to an already doing great investment. Retirees or people in their middle 40s can also save in solid deposit plans for their retirement benefits. According to TheOnlineCitizen.com, it is best for one to wait till they retire to spend on it. How much can you put in a time deposit in Singapore? The question “how much” is common, particularly where finances and investments are concerned. You want to know how much to put and how much to get. Like we have mentioned earlier, how much you put in a time deposit is determined by your age! Yes, age is a crucial factor. When you’re young, you have lots of needs and may only need to put a small percentage into fixed deposits. However, as you grow older and probably have fewer needs, you want to protect what you have and lower your risk of losing what you have gathered over the years. Apparently, that may mean keeping your money safe from the unpredictable markets. Individuals at the ages of 20 to 40 years have a broader and more promising investment option than any other group according to The Straits Times article published in 2017. It is easier and possible to recover from massive losses when young than when old—in case of a high-risk investment. But when you get to 60, you have to channel your savings to investments that will not only give back good returns but stable returns. That does not mean that the young should compromise with their investment options. It is always wise to think twice about unpredictable deals. One big advantage of fixed deposit is that at least you have that portion of your money protected irrespective of how the market goes. The time deposit keeps your money safe as long as it’s there and will continue multiplying based on the terms. Time deposit also teaches you how to handle your money. You get the discipline of not withdrawing your money till it has matured and hence avoid overspending. Another good thing with time deposit is that you can rely on it when things go wrong. If something horrible happened that would render you bankrupt, homeless or sick, you may choose to default or wait till it has matured and begin a new life. Finally, you have the approval to open several fixed deposit accounts. They can save you when you least expected it.